What’s the difference between men’s and women’s rain jacket reviews? The Black Diamond Stormline Stretch (men’s and women’s) strikes a great balance - between price, weight, and features, and between frontcountry and backcountry usefulness. It has all of the features most-often sought after in a rain jacket - including armpit zips, fully-lined hand pockets, and the ability to pack down into a pocket. Plus, the heavier men’s version only weighs 9.9 ounces, making it the the second lightest rain jacket in our review. The hood fits a bike or climbing helmet, and the sleeves offer a full range of motion for ease of climbing. Plus, the proprietary BD.Dry fabric has some stretch to it, giving an already roomy jacket a little more give. And we gotta say, it looks sleek for both men and women, too - yet another reason it landed our Best All-Rounder title. Users say that the Stormline Stretch is good not only for a downpour, but for wind as well - and it’s soft and comfortable to boot. It’s versatility in a number of conditions--rain, wind, and hanging out--make it a smart choice if you only own one rain jacket. While Switchback Travel complains about how large it is, suggesting it’s too large for the backcountry, user reviews suggest the sizing isn’t as straightforward as all that. Some complain it’s too large, others that it’s too small, still others that it’s just right - so use your discretion when buying. We recommend buying the Stormline from REI or another retailer where returns are easy and return shipping is free. Despite the sizing complaints, we think the Black Diamond Stormline Stretch is a rain jacket that’ll suit most folks for most of their rainy day needs. The Marmot has all the more common features you’d want in a rain jacket, like armpit zips, hand pockets, and the ability to stow down into a pocket. This jacket is made for nearly everyone, going up to size XXL, with tall sizes available as well. The adjustable hood fits a climbing or bike helmet - or those of us with larger hairstyles - and stows away when you don’t need it. Plus, Marmot makes sure you get a full range of motion without moving the hem above your waistline. One downside? The heavier men’s version weighs 13.1 ounces, more than double the weight of the barebones Outdoor Research Helium II. Still, the Precip isn’t bad for a Budget Pick. Over half of the professional reviews we read included the Marmot PreCip as a solid pick. REI called the women’s version "light and airy for high-intensity activities like hiking, backpacking or running," and Clever Hiker thinks the men’s “offers a solid balance between weight, functionality and cost." Outdoor Gear Lab rated it as the best (#1) rain jacket for women. Despite not ranking high compared to other men’s rain jackets in the review (#16 of 17 jackets), Outdoor Gear Lab gives the Marmot Precip an award for being the Best Bang for the Buck. Still, this is a budget jacket for a reason: everyday reviewers across Amazon, Backcountry, and REI said that the Marmot PreCip isn’t a jacket for downpours, and Adventure Junkies notes that the "inner membrane decays over time,” such that the jacket “loses waterproofing over time." Customer reviewers agree: while older models, with the right care, held up for up to four seasons, the average replacement time for more recent PreCip models seems to be two seasons or even a single season. Customer reviewers across sites also noted that the jacket generally fits true to size, though some reviewers on Amazon suggest it’s best for those of a small to medium build, particularly in the shoulders. Women on Amazon also noted that the PreCip is long enough in the back to keep your waist covered. Reviewers also suggest the fabric is quite loud, which isn’t uncommon in budget rain jackets. So if you’re looking for a starter jacket or a jacket for just-in-case, the Marmot PreCip will serve you well. Tester Shaun Sexton backcountry ski touring in Talkeetna Range, Alaska. 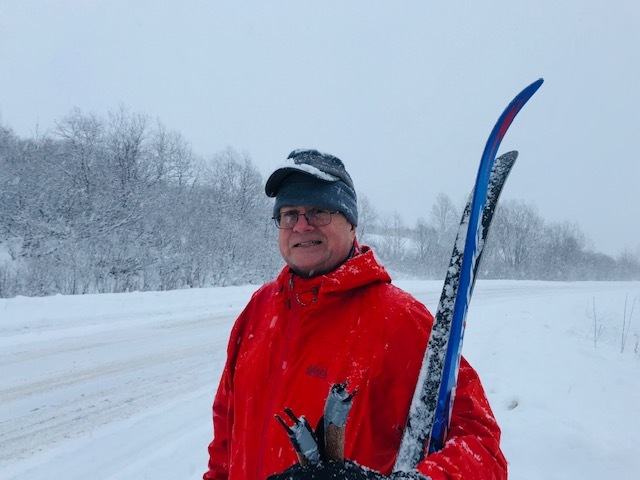 One reason he likes the REI Drypoint GTX is voluminous side pockets that hold ski waxing essentials, clothing, snacks, etc. Photo courtesy Shaun Sexton. The REI Drypoint GTX has a hood that fits nicely and easily over the head, extending over the bill of a hat. Photo courtesy Shaun Sexton. Hyper-fancy, high-performance rain jackets can cost close to a month’s rent, but we think the REI Drypoint GTX (men’s and women’s) offers the performance at about half the price. It’s the only 3-layer jacket on our list, though it’s made of the same Gore-Tex Active waterproofing as other high performance jackets. Compared to the other jackets in our review, it’s super breathable and light-- the “heavy” men’s version weighs 10.5 ounces. Although it has a higher price tag as compared to the other jackets in this review, we think it’s the best bet if you foresee a lot of rain in your future. Sexton also likes that the REI Drypoint GTX has a collar that protects the neck without being too snug. Photo courtesy Shaun Sexton. Tester Shaun Sexton backcountry ski touring in Alaska’s Talkeetna Range in the REI Drypoint GTX. Professional reviewers raved about the REI Drypoint GTX. Outdoor Gear Lab compared it favorably to our Lightweight pick, the Outdoor Research Helium II, saying that "for a few extra ounces, you get a LOT more breathability, superior weather resistance, and a longer lasting waterproof fabric." Backpacker loved the hood design, and Switchback Travel was put in mind of those twice-the-price Arc’Teryx jackets, noting that they stayed safe from the wind, fully dry “without feeling clammy,” and that the Drypoint GTX even felt a little insulated. (Everyday users took that last point to its logical conclusion, saying that it felt too heavy for warmer weather - but they also loved this jacket overall.) Rave reviews from professionals and everyday folks alike secure this jacket’s spot as our Fancy Upgrade Pick. The one complaint we have about the REI Drypoint GTX is that while it has two hand pockets, it doesn’t pack down into either of them. It’s a minor quibble, but if you’re looking for easy packability, this one might not be for you. (Of course, you can always put it in a stuffsack or ziplock bag to get a similar effect). And while we didn’t see any complaints about ventilation, it doesn’t have pit zips either. It may not be quite as light as its namesake, but the Outdoor Research Helium II (men’s and women’s) is the lightest rain jacket on our list. At just 6.5 ounces for the heavier men’s version, it’s essentially a third of the weight of our Durable Pick the Marmot Minimalist. That incredible lightness of being comes from a lack of the usual features: the Helium II has no armpit zips for ventilation and no hand pockets, though there is a chest pocket that the jacket can pack down into. The wrist cuffs are likewise loose-fitting elastic rather than velcro - but that does mean water is more likely to run down your sleeves and onto your hands. The hood has a large brim and is helmet compatible, but the drawback there is the lack of drawstrings to close the hood around your face. With how light the Helium II is, you have to give up a little to get what you want. But everyday ultralight backpackers are enamored of this jacket for just that reason - it’s a great shell when you’re in a pinch for a tiny weight penalty. At Amazon, Backcountry, and REI, customer reviewers raved about its weight and packed size, though they emphasized that it will wet through in heavy enough rain. They do note that because the Helium II is more fitted than the other jackets on this list, it’s important to size up if you ever want to add warmer layers underneath. So if it’s lightweight, just-in-case protection you’re looking for, the Outdoor Research Helium II is the best bet among the rain jackets in our guide. Tiffany Searsdodd (on left) takes the Marmot Minimalist on skis. Photo courtesy Tiffany Searsdodd. The Marmot Minimalist (men’s and women’s) is a great choice for those looking for a high-quality feel. This is one of the sturdier-feeling jackets on our list, and its reasonable price makes it an attractive buy for those looking for premium build at a sub-premium price. It also comes with a lot of desirable features: The hand pockets are equipped with storm flaps to keep the rain out. It comes equipped with armpit zips for increased breathability. A tall collar keeps the rain away from your neck, and the adjustable hood - while it doesn’t fit a helmet - has a large bill to keep the rain out of your eyes. But it’s the heaviest rain jacket on our list, weighing 15 ounces for the men’s version. Still, it’s a study, comfortable option for daily use. Professional reviewers love the durability of this jacket, with Clever Hiker noting that the Marmot Minimalist feels like an upgrade to the Marmot PreCip that trades “a little extra weight and bulk for increased toughness.” That heaviness doesn’t make the Minimalist ideal for just-in-case scenarios, but despite the weight, Adventure Junkies calls it “breathable.” Outdoor Gear Lab and Switchback Travel love the Minimalist for how weatherproof it is, with Switchback recommending the latest model, as older models have a known problem with their waterproofing. This might not be the model for backpackers, as the hand pockets are positioned such that they’ll be covered up by a backpack’s hipbelt, but for other activities, it’s a solid pick. The main commonality among user reviews was that the sizing seems to be inconsistent - some users called it true to size, some thought it too big, and others thought it too small - so it might be worth it to give yourself a fair amount of lead time before you mean to use it, so that you have the chance to send it back if the sizing doesn’t work out for you. Despite the sizing concerns, we feel the Marmot Minimalist is a great pick for those looking for weatherproofing rather than weight. 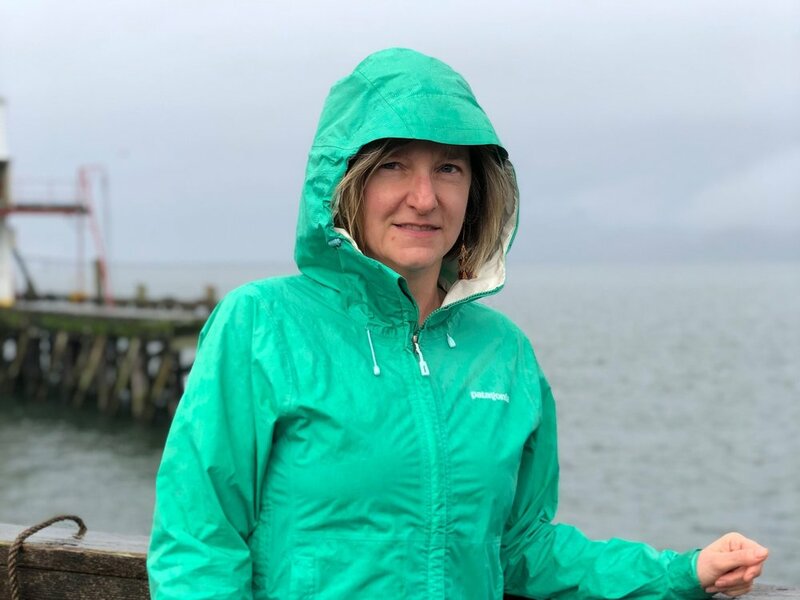 Treeline Review co-founder Naomi Hudetz wearing the Patagonia Torrentshell on the Oregon Coast. Photo by Mike Unger. The Patagonia Torrentshell has one of the best hoods of any of the rain jackets we considered. Photo by Mike Unger. But the most delightful part of the Torrentshell design is the hood: deep enough to fully protect your face, large enough to fit a helmet or a larger hairstyle. These features alone wouldn’t have been enough to put the Torrentshell on our list, but there was one distinction that put the Torrentshell on the top: it's environmentally-friendly design. Combined with its solid waterproofing, we call the Patagonia Torrentshell our Solid Buy. While the manufacture of rain jackets in general can be harsh on the environment, Patagonia is considered the best in the outdoor industry for practice and transparency in labor conditions and environmental responsibility. They share their supplier information with consumers, as can be read here with the specifics of how and where the Torrentshell is made. The Torrentshell is made of 100% recycled nylon ripstop. The fabric is also bluesign® approved, which is considered the highest standard in the industry to use methods and materials that minimize impact on people and the environment. Bluesign works “at each step in the textile supply chain to approve chemicals, processes, materials and products that are safe for the environment, safe for workers and safe for the end customers.” (Note that the Marmot Minimalist and REI Drypoint GTX also use bluesign approved shells). We like the length on the Torrentshell. It goes fully below the hip, even on individuals with long torsos. Photo by Mike Unger. Outdoor Gear Lab, Switchback Travel, and Wirecutter all love the Patagonia Torrentshell’s hood. Switchback compares it to the Marmot PreCip, saying the Torrentshell gets you extra features at a higher price. Nearly all of the professional reviewers note that this jacket is on the roomier side, but Outdoor Gear Lab notes that the women’s jacket fit strangely on the several body types of their testers, saying it “paunched out in the middle of the chest.”Everyday users on Backcountry, however, liked the roomier fit, particularly as it helped the jacket stay put under a hipbelt. 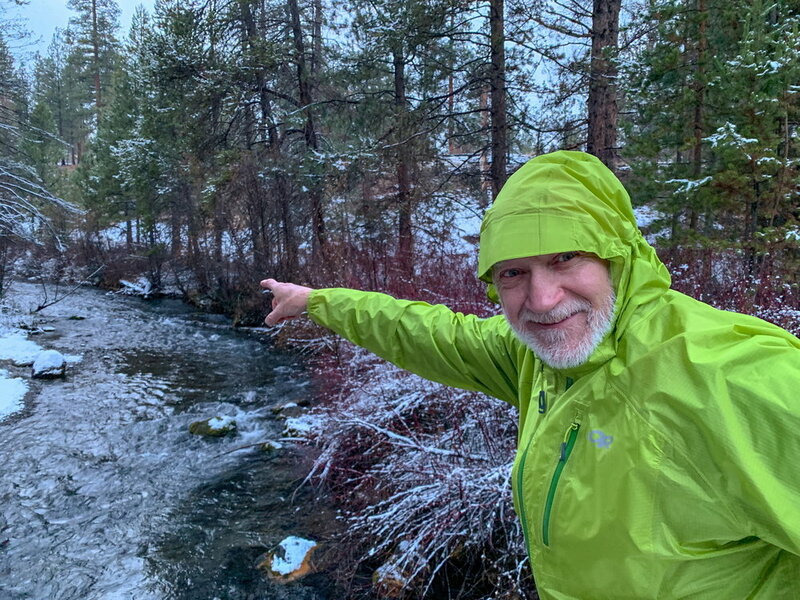 A few Amazon reviewers noted that the fabric was a little loud, and some REI reviewers of the men’s Torrentshell noted issues with the waterproofing in newer models, so this might be a jacket worth searching out last year’s model for, and at a discount to boot. Still, we’re confident about recommending the Patagonia Torrentshell - particularly given Patagonia’s solid product warranty. To show you only the most rave-reviewed rain jackets for your outdoor adventures, we compared reviews from Adventure Junkies, Backpacker (two separate guides), Clever Hiker, Gear Patrol, Outdoor Gear Lab (for Women and Men), Outside Online, REI, Switchback Travel, and Wirecutter. When these professional reviews overlapped, we checked Amazon, REI, and Backcountry customer reviews of those rain jackets, and compared those reviews to our own experiences, where we could. While our personal experiences are mostly backpacking experiences, we’re confident that these rain jackets will weather wet weather, whether you’re hiking, traveling, mountain biking, trail running, fishing, or commuting. The rain jacket field of contenders was much broader than other gear categories we’ve published here at Treeline Review thus far. After reviewing 14 professional review sites, our list included 49 different rain jackets, as opposed to the 20-or-so models we usually see. Culling all these rain jackets down to the best six models was difficult, and not just because our sources rarely agreed. The primary issue was one of gender—and issue which we dive into more below. The hood on the women’s Outdoor Research Helium 2. Photo by Robert Curzon. The hood on the men’s Outdoor Research Helium 2. Photo by Jill Duncan. What’s the difference between men and women’s rain jacket reviews? Generally, companies split outdoor apparel lines into women’s models and men’s models, but some companies, like Arc’teryx, don’t offer the same range in women’s rain jacket models as they do in men’s. With rain jackets, most reviews we saw generally defaulted to men’s models, and presumed that the women’s models of the same jacket were essentially the same. In theory, we agree with them, but in practice, that might be a different story. Think about measurements, for example: will that rain jacket chest pocket be practical for a woman with a larger bust measurement? Will the jacket sit shorter in the front than in the back in the women’s model, or is it designed with women’s bodies in mind? Do women’s models have a long enough torso for tall women, or large enough sizes for larger women? When choosing which rain jackets made our top picks list, we made the best choices we could with the information available, often relying on customer reviews. REI and Outdoor Gear Lab were the only professional reviewers we encountered that had separate rain jacket choices for women and men, but we took their input with a grain of salt this time. Why? It’s complicated. While REI’s review has picks for men and women, nearly each choice in their four categories (Best All-Around Multisport, Best Lightweight, Best for Downpours, Best Under $100) is different for men and women. REI says they make their picks based on those with the most and highest customer ratings. But it’s impossible for them (or us) to tell whether customers choose to buy (and then rate) rain jackets because of gender-specific research or because of gender-specific marketing. Still, each rain jacket has over 200 ratings - except their “Best Under $100” REI models, which only appeared on the most recent iteration of their list. So for the most part, we think they’re using a decent enough sample of people. But when we chose a jacket endorsed by REI, it also had to be well-regarded by other sites to make the cut. The women’s review has only 10 tested jackets, where the men’s has 17. Sixteen of those seventeen men’s jackets has a women’s counterpart, and yet Outdoor Gear Lab only tested five of those counterparts. Additionally, the #1 slot in the women’s review (at 82 out of a possible 100) is the Marmot PreCip - which, in the men’s review, comes in at #16 out of 17 (with a 58/100). That’s right. According to Outdoor Gear Lab, the best jacket model for women is just short of being the worst jacket for men. If it only happened once, it might be a fluke. But when we compared the men’s and women’s rain jacket guides, it happens again with the North Face Venture 2 (#3 and 81/100 for women; #15 and 58/100 for men). We have a hard time believing that these jackets perform that differently for women and men. Why, for example, is the Marmot Precip a men’s and women’s rain jacket award winner if it didn’t score that well in the men’s guide? Why isn’t there more overlap between the men’s and women’s top scoring jackets? One reason we think Outdoor Gear Lab’s men’s and women’s rain jacket guides yielded such different results was the emphasis on fashion in the women’s guide. Words related to fashion (including variations on the word “style” and the apparently-outdoors-related activity of “window shopping”) appear in seven of the ten women’s rain jacket reviews. In contrast, there is no mention of style beyond “athletic fit” in one review on the men’s overview page. Based on this analysis, Outdoor Gear Lab’s reviewers think fashion is a more important category for women than for men. One reason why the reviews are different may because they are by different writers. These two reviewers may have different takes on how to weight evaluation criteria. It’s also possible--as with the REI review--that customer reviews show that women customers generally care more about fashion than men. 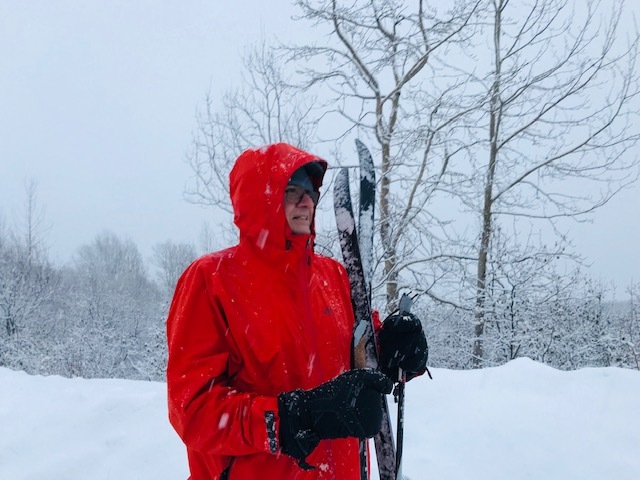 But since we at Treeline Review are only really worried about whether a rain jacket will keep us dry - and we judged women’s and men’s jackets on the same criteria - we took Outdoor Gear Lab’s reviews into consideration, but balanced their recommendations with our analysis. Your conditions, the expected weather, and temperatures will influence your decision on which rain jacket to choose. Photo by John Carr. Seems a little strange --nearly every place gets rain, after all -- but where you’re playing outside will determine what kind of jacket you’re looking for. But where you’re at is going to determine what kind of jacket you’re looking for. If you’re in a place where it hardly rains, but are still looking for a just-in-case jacket, the Marmot PreCip or the Outdoor Research Helium II will absolutely suit your needs. If rain’s a more constant companion, something a little more heavy duty like the Marmot Minimalist or the REI Drypoint GTX would be a better bet. Not sure which you’ll encounter? Split the difference and pick our Best All-Rounder, the Black Diamond Stormline Stretch. Just a light sprinkle, a fine mist, or intermittent rain? Constant downpours in the forecast for the seven days of your trip? Take these factors into account, and choose wisely. What temperatures are you expecting? Weather doesn’t just mean rain. 80 degrees and raining on a humid East Coast hike in July will require a very different rain jacket than 35 degrees and raining in the Canadian Rockies. The expected outside ambient air temperature is one of the biggest factors to consider when buying a rain jacket. Photo by John Carr. Rain jacket layer technology works by using thermal gradients to move warm moisture vapor from inside your jacket to cooler air outside your jacket. On a warm day, the lack of that thermal gradient means your jacket will not be able to “tell” that the outside air is cooler, so won’t move that moisture. So on a warm day, your jacket has a harder time “breathing,” aka move water vapor. Instead, if you’re mostly splashing around in warmer rain, you want ventilation (see more below). A 2.5-layer jacket with pit zips and mesh pockets (more below) will provide good ventilation. In cool weather, ventilation is less necessary for moisture management. The technology in your jacket will “know” to move that warm water vapor from inside the jacket to the outside of the jacket. In cool to cold weather, you want the breathability afforded by a 3-layer jacket (see more below). Ventilation is less important in cooler temps, one of the reasons 3-layer jackets often doesn’t have pit zips. For more consistently wet uses, more if you want your jacket to last several seasons, you’re going to want to consider something like the REI Drypoint GTX. Do be sure you’re taking good care of your rain jacket, as that will extend the life of the jacket, no matter the price. For how to do that, read our tricks and tips section, or watch this video from Canadian outdoor store Mountain Equipment Coop (full disclosure: we did not consider any of their jackets). We wish we lived in a world where money was no object, but alas. And rain jackets, with the waterproofing technology they involve, don’t always come cheap. The rain jackets in our review range from $100 to $250, with half of them at or below $150. (Not bad when some have a $450-700 asking price.) Still, you’ve got to choose the best rain jacket for your budget, and we’ll always try to find you the best deals at our links. Hood size and adjustability are among the most important criteria to consider when choosing a rain jacket. Photo by Mike Unger. Plenty of sites have gone into the complexities of waterproofing -- what chemicals are involved, what the effects of this or that proprietary fabric are, how well each works against the other. But we’ll give you our two-cents on what the layers are and why it matters to you. Layer 1 is the shell (aka, face fabric), usually made of nylon or polyester. On the outside of Layer 1 is a DWR coating - durable water repellent. It repels oil, grease, water, dirt and whatever else you encounter on your adventure. DWR’s job is to keep Layer-1 from getting saturated with water. Most noticeably, it causes water droplets to bead up and roll off. By repelling oil and dirt, it also helps keep Layer-2 clean. You may have heard about rain jackets needing to “breathe.” Breathing means your garment takes sweat and moisture vapor from inside your jacket and moves it to the outside of Layer-1, where it ideally can evaporate. Breathing (that moisture movement) happens in Layer-2. But Layer-2 can’t do its job if Layer-1 is junked up with oil and other nasties. Layer 2- also can’t do its job if Layer 1 is saturated with water. When Layer-1 is saturated with water, it’s also called “wetting out.” You’ll know your jacket has wetted out when the face fabric is so wet that it clings to your skin. You’ll feel damp, clammy, and upset at your rain jacket. Once any jacket’s face fabric wets out, it doesn’t matter how fancy the rest of the layers in your rain jacket sandwich are. Your jacket will stop being able to breathe--and all that moisture next to your skin is there to stay. That’s why DWR is so great--it helps your jacket breathe in two ways: 1) preventing wet out 2) keeping Layer-2 clean from oil and dirt. With DWR (durable water resistant) coating, water beads up on the surface on rain jacket material. Photo by Mike Unger. Layer 2 is the real waterproof layer. It’s a membrane, which is coated or laminated and sandwiched under the face fabric. When your jacket advertises it has Gore-Tex or eVent, this is that layer. You can’t see Layer 2, but it’s there, doing its job. Layer 3 is the interior protection. This layer actually doesn’t prevent water from moving from the outside in. Instead, it protects layer-2 (aka, the membrane) from dirt, oil and abrasion that causes it to degrade over time. Layer 3 also absorbs sweat. Layer 3 helps water move from the warm inner of your jacket to the cool environment outside, crossing the thermal gradient. All of the jackets in our meta-review are 2.5-layer, with the exception of the REI Drypoint GTX, which has three layers. So what does a 2.5-layer mean? It’s a hybrid of a 2-layer and 3-layer construction. The “half layer” is printed onto the second layer. It sometimes looks like a cool pattern all along the inside of your jacket. But it’s there for a purpose: to protect that layer-2 membrane from oil, dirt, and other junk. That half-layer isn’t quite as good as a full-out layer-3 at protecting your membrane. But it does prevent some dirt, oil, and abrasion from degrading away the efficacy of your jacket. And (no surprise) it’s a heckuva lot more lightweight and affordable than most full 3-layer jackets. Arm pit zips allow for extra ventilation for staying cool in warmer weather. Photo by Mike Unger. Three names, two zippers, one delightful function: keeping you just a little cooler. Part of a rain jacket’s ventilation system, you’ve either got ‘em, or you don’t. Four of our six picks have armpit zips (we decided to split the difference with the name), which are great for keeping you cool in warmer weather. The Outdoor Research Helium II and REI Drypoint GTX do not have pit zips--the former to save on weight, the second because it’s meant for cooler weather. In cooler weather, ventilation is less important. That’s because warm moisture vapor moves to the cooler outside of your jacket along a thermal gradient. (See more above). Generous hand pockets keep your hands cool on chilly days. They also can be used to store snacks and your phone. Photo by Robert Curzon. What has it got in its pocketses?! Hand pockets are a convenient place to warm your hands up when rain mittens are out of the question. All of our rain jackets have hand pockets save one: Outdoor Research Helium II, again, likely to save on weight. (Sensing a trend?) That said, the Helium II does have a chest pocket. We also like it when pockets are large enough to store your phone and/or snacks. For commuters, having access to your phone at all times—even during the rain—is important. 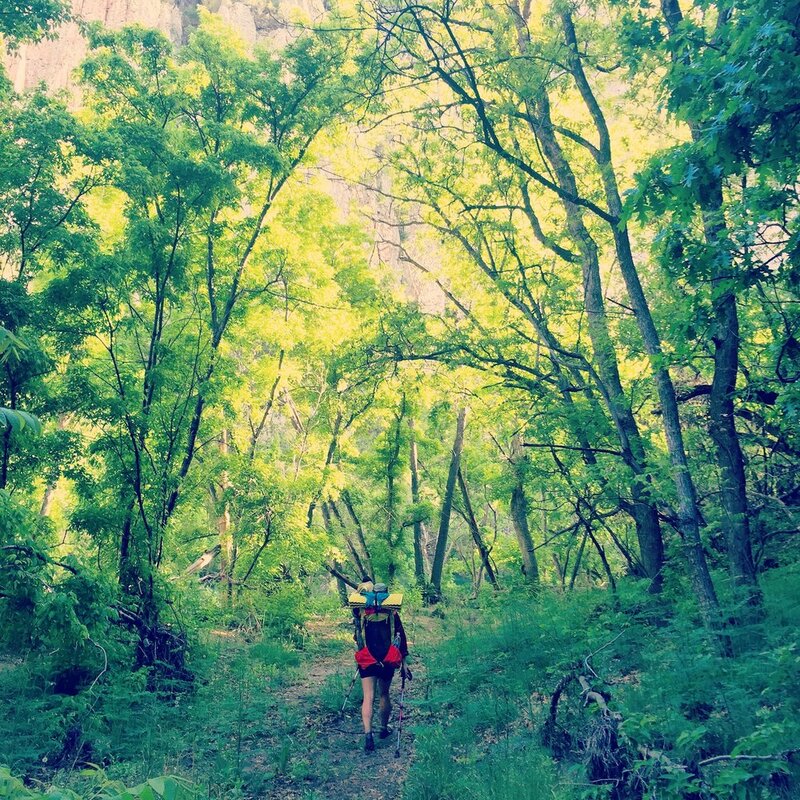 For outdoor adventurers, phone GPS and mapping apps give confidence when navigating, especially when weather conditions make finding your way trickier (see our Guide to Best iPhones for Outdoor Adventurers). And everyone wants to have their phone in easy reach to get a photo when that rainbow pops out of the clouds. But the way pockets are designed for gear haven’t caught up to the way phones are designed. Pockets are often way too small for most phones, which is one reason why many adventurers prefer smaller phones. When it is wet and cold outside, we also are less likely to stop to remove fuel from our backpacks. Those conditions are precisely when we need extra calories the most. Pockets give us the option of easy access to snacks as we move towards less rainy conditions. Most rain jackets fold down into their zippered hand warming pocket. This serves to protect the jacket from dirt when you are not using it. Here, the Patagonia Torrentshell is shown zipped up alongside a waterbottle to give perspective. Photo by Mike Unger. Does It Pack into a Pocket? With any luck, you’ll have sunny weather for most of your fun outside. That does mean, however, that your rain jacket will likely spend most of its time in your backpack or bag. How well a rain jacket packs down affects how often you’ll actually carry it, which in turn affects how often you’ll actually use it. Packing it down into a pocket also helps to keep the waterproofing clean of dirt and oils, keeping the rain jacket nice and breathable. In fact, packing it into a pocket was originally created to keep the jacket clean and the membrane free from oils and dirt that reduce breathability. On the other hand, we were unsure whether or not scrunching and rescrunching a rain jacket into its pocket had any effect on the durability of the waterproofing. We’ve seen what can happen to rain jackets after a few hard seasons of mechanical wear from scrunching. In particular, we’ve seen some breakdown of layers. So we simply noted if a jacket packed down into a pocket for easy storage. All of the jackets in our meta-review but the Marmot Minimalist and the REI Drypoint GTX pack down into one of their pockets - and each of them can stow down into their hoods, as shown in this video from Wilderness Supply. Most negative consumer reviews we saw for every jacket we looked at had to do with the reviewer getting wet some way or another. Does this mean you should just give up on rain jackets? Not just yet. People sometimes have a hard time distinguishing between things that are cold and things that are wet. (Don’t believe us? Get a friend you trust, close your eyes, and experiment.) So while it could be that those reviewers actually got wet, it could just be that the rain jacket they were using started to wet out - that is, the outer fabric started to absorb (rather than repel) the rain. All that water in the jacket’s fabric makes the fabric colder and can make you feel like you’re getting wet. Another potential explanation is that those reviewers simply weren’t ventilating enough - and the “water” that they feel is really their own sweat. That’s why ventilation and breathability are clutch when it comes to a rain jacket’s performance. Pit zips provide a source of ventilation for warmer days. Photo by Mike Unger. ...That said, it’s important to manage your expectations when it comes to a rain jacket’s breathability and ventilation options. When looking for a rain jacket, you’re essentially asking for a jacket that will keep out rain but let out your sweat. And while, sure, some fabrics and some jacket builds do better than others, it’s important to know that if you’re exerting a lot - particularly in warm weather - you’re likely going to sweat at least a little bit. That’s why we suggest a jacket with ventilation for warm weather. Having armpit zips or pockets whose backs are made of mesh can vent some of your excess heat in warm weather. But its not going to magically stop you from sweating. Keep that in mind, and you’re likely to be happier with any rain jacket you purchase. Having a more breathable rain jacket in cool weather can help keep that sweat to a minimum. That fully-lined jacket will serve you better in cool weather. See our weather section for more info on this. Speaking of pockets, there are two types of pockets: mesh pockets allow for a little extra ventilation and are better in warm weather. Fully-lined pockets won’t allow any water to leak through to your torso if your pockets are open. Fully-lined pockets are better for cooler weather. Make sure you think about what’s best for you before you buy. Sleeve cuffs adjust by elastic or Velcro. Here, the Outdoor Research 2 uses an elastic cuff. Photo by Robert Curzon. Let’s talk about sleeves and sleeve cuffs for a sec. We recommend sleeves that are slightly longer than you’d try to get for a normal shirt, to give some protection from the weather to your hands. In terms of sleeve cuffs, you’ll generally find two types: elastic, which isn’t adjustable, and velcro, which you can adjust as you need to. Elastic cuffs aren’t ideal: when the rain runs down your arms, it gets wicked directly onto your hands, regardless of the length of your sleeves. Velcro cuffs can be made wider than your wrist, allowing most of that rain to drip to the ground instead of your hands. That said, velcro cuffs weigh more, so it’s worth thinking about what you’re using the jacket for. Unless you’re going fast and light, we like velcro cuffs for most situations. Have a larger hairstyle? Look for a rain jacket with a helmet-compatible hood. That’ll leave more room for your ‘do. Also, if you need, say, a climbing helmet. Last but not least, it can be tempting to think of a rain jacket as a rugged piece of gear - it gets you through a lot of rugged weather, after all - but even rugged gear needs love and care. This especially applies to lower cost rain jackets, as, in some regards, you get what you pay for. A dirty rain jacket is less waterproof, not to mention stinkier. But don’t just throw it away and buy a new one if it’s well used and soaking through! Wash your rain jacket according to the manufacturer’s instructions - most prefer if you avoid using detergent, though something like NikWax Tech Wash helps to restore the fabric. After washing, follow the manufacturer’s drying instructions, whether you’re on that air dry or tumble dry low train. Avoid overwashing, as that can cause damage, too - you’ll want to wash once every several uses. And once your jacket is nice and clean again, you can further refresh the DWR with sprays meant for the purpose.